On 27th March 2018, Agridemo visited the EIP AGRI Service Point office in Brussels aiming at establishing contact and exploring synergies with the EIP AGRI network. There, Miguel Cordero, from USC, met with the team leader and farm officers of the Service Point so as to present the state of play of the project and talk about cooperation between both initiatives, aligning efforts and broadening impact of our activities. The European Innovation Partnership for Agricultural productivity and Sustainability (EIP-AGRI) network, by the EU Commission, boosts innovation in the agriculture and forest sector by closing the gap between research and practice, with special attention to H2020 research programs and the Rural Development Programs. 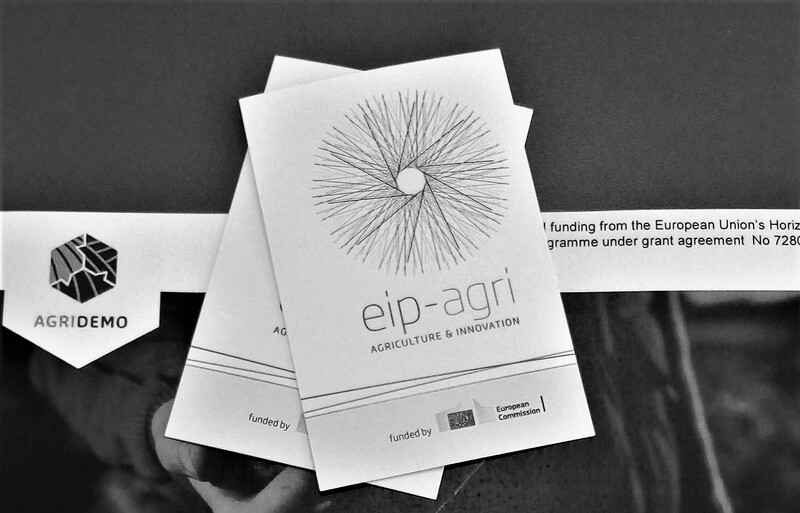 To reach this goal, the EIP AGRI counts on two main lines of action: dissemination of research results and farm activities or good practices, and development of several networking activities and resources so as to enhance contact of the different actors of the agricultural and forestry sector. Agridemo-F2F interest for the EIP AGRI comes already from the very beginning, as the network was identified as a key actor for increasing the repercussion of Agridemo-F2F across Europe. Very oriented to farmers, both initiatives try to add value and enhance impact of the farmers activities, mainly by bringing resources and support to disseminate their actions but also by acting as a meeting point, providing networking opportunities and channels so as to boost the cooperation amongst farmers themselves and with any other stakeholders (advisers, researchers, support services, etc). At the meeting, after presenting the project, first point discussed was how to link and create synergies between our respective databases, namely with FarmDemo inventory (future HUB). This would contribute to enhance networking opportunities of users of both initiatives, therefore different potential levels of linkage were explored, including technical aspects as semantic and logic compatibilities. Meeting followed by addressing aspects related to the cooperation for disseminating and exploiting results. This included the inventory but also many other potential outcomes as success and inspiring cases, good practices, production of EIP AGRI practical abstracts, relations with potential operational groups, etc. Finally, last point discussed was how the EIP AGRI might take advance of the results, services and functionalities put in place by Agridemo-F2F, optimising even more the usefulness of the outcomes by the project.